Most of the time if you see something wrong in the healthcare system, it's because we're paying the wrong way. Boehler has been director of CMMI since April and is adviser to HHS Secretary Alex Azar on value-based care. Previously, he sold Landmark Health, which he founded in 2012, and before that served executive roles at aLabs, Accretive LLC and MedeFinance. Andy Slavitt, director of CMS under President Barack Obama, recently started a venture capital firm that raised $115 million and invested an undisclosed sum in Landmark, Boehler's old company. 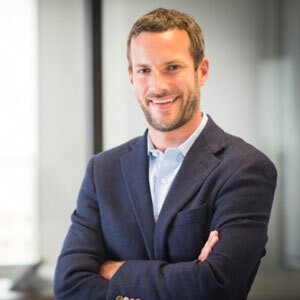 When Adam Boehler got a surprise phone call from former President Barack Obama's Center for Medicare and Medicaid Innovation director Patrick Conway, he never thought he’d end up in charge of regulatory innovation for a sizeable chunk of the U.S. healthcare system. Conway was looking for his replacement at the agency. Boehler's initial answer was a polite "no." "I never thought government was in the cards for me," Boehler acknowledged at an America's Health Insurance Plans conference in October, but he said mulling the positive impact he could have for millions of American changed his mind. So, in April, Boehler left his lucrative CEO post at start-up and medical provider group Landmark Health to take over CMMI, the agency created under the Affordable Care Act to test health delivery and payment models. In his short time at the helm, Boehler — who has said he wants to abolish fee for service and the revenue cycle — has attempted to move the needle on quality in a sector traditionally reticent to change. His go-to example for what's wrong with American healthcare is the ambulance payment model, under which ambulance crews only get paid if they take a patient to a hospital. This creates a misguided incentive for first responders that might fly in the face of a patient’s best interests. Boehler, who graduated from the University of Pennsylvania's Wharton School of Business, has founded three companies, the last of which attempts to address one ill of America's healthcare system: how to care for complex patients. Landmark Health provides at-home care for chronically ill patients with services running the gamut: behavioral health, social, medical and palliative care from a slew of providers including such as doctors, nurses, social workers and pharmacists. Landmark takes full financial risk for its patients in the 13 states of its operation, and Boehler has brought this interest in accountability to government. He's currently working to reinvigorate CMS role with the Physician-focused payment Technical Advisory Committee to recommend new ACO models off the 10 foundational templates already approved. Still, in line with the Trump administration's tendency toward a lighter regulatory touch, he isn't interested in forcing ACOs to assume risk. Instead, CMMI looks at how to set up local organizations at a level of risk that works best for them. Not everyone is fan of the approach: Critics say that mandating risk is necessary to move the system away from a predominantly fee-for-service model. Boehler, who also advises HHS Secretary Alex Azar on what the agency can do to foster value-based transformation, has lambasted the siloing of medical care from housing, social services, education, food stamps and more, calling it a restrictive, compartmentalized system that would never be built today. CMMI is actually looking at an accountable healthcare communities model that integrates social support and housing. Other areas of interest for the innovation agency include streamlining medical device approval, direct provider contracting, using AI to automatically derive quality measures from physician data and combating the opioid crisis with a model called Integrated Care for Kids that links behavioral, physical and other pediatric providers. Despite intense public pressure to ameliorate cuttingly high healthcare prices, Boehler has won bipartisan praise, fairly rare in the current political environment. "I don't think he has a political bone in his body," Thomas Scully, CMS administrator under President George W. Bush, recently told Healthcare Dive. "This administration is one that is not overly sensitive to the status quo," Boehler said at an Alliance for Health Policy breakfast earlier this year. "I do think we can change a lot in a positive way."